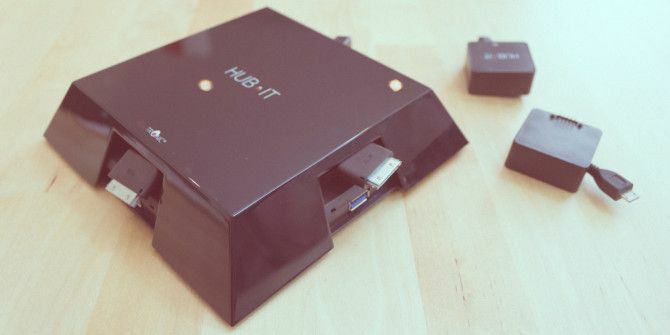 HUB IT is a modular USB3 hub and charger which takes a fresh approach and is full of potential. Unlike traditional chargers which will simply provide the USB ports with a bring-your-own-cables policy, HUB IT have created a line of enclosed modules that cater for all smartphones, as well as some more obscure devices like Nintendo DSi. The HUB IT from Eggtronic is on sale for $56 at the time of writing and faces stiff competition from a number of fronts, none of which match the specifications exactly. The Bolse 7-port charger Bolse 7-Port USB Charger Review and Giveaway Bolse 7-Port USB Charger Review and Giveaway Do you really need 7 ports? Read More ($36) for instance offers a superior charge-only product that works with existing cables and has a higher capacity with it’s 12A power supply (compared to 4A in the HUB IT); whilst another $25 or so would get you a generic USB3 hub. Again though, nothing matches the product precisely in terms of modularity or future potential. The HUB IT is fairly substantial in size – taking up a full 17cm squared of desk space, 4cm high – but very light, with an ABS glossy black plastic case. The choice of case resulted in it being covered in my dirty fingerprints within seconds of taking it out of the box, and quickly attracted dust. The design is like the base of a pyramid, with vast entrances on either side from which the module cables and ports emerge. A small orange light in each alcove indicate when power is being drawn. This can be a little confusing. The 3 standard USB hub ports are built into the bottom section of the base unit and cannot be changed. Above this is a grid array of 9 modular ports. 4 of these ports act as a USB3 connection and charger, for whatever modular connector is plugged is (such as micro-USB, or Apple Thunderbolt); providing both data and power. The other 5 modular ports are essentially hidden under the case, and are as of writing, unused by any current modules, but can potentially be used by things like a wireless Qi charging module once released. For the time being, only the 4 externally facing module sockets are designed to be used. The module on the rear side is situated above the power and USB in ports, and as such doesn’t have another USB3 port there available for us. For my needs with a number of older and newer devices, this is actually a perfect mix. For you, that might not be so true, so the cost may increase if you need replace specific modules. That is of course the whole point of having a modular approach – but there’s a cost involved. The maximum power of the wall unit should also be noted as a limitation to the current offering: despite 4 charging ports, only two will be functional at any time for full speed charging. This could theoretically increase with a bigger charger, which the manufacturers have said is in the works. The modular units themselves – essentially 18cm retractable cables in a solid plastic housing – feel pretty solid with a reliable retraction mechanism that never faltered or got stuck during my testing. However, this doesn’t reflect long-term usage testing and small children pulling on cables. On the underside of each modular unit are 10 jumper pins sticking out, which could prove to be a point of weakness if you keep some modules in a drawer. Additional cable modules are available from Amazon for $8 each, though I suspect future module upgrades with advanced features may cost more. The full list of modules can be found on their accessories page. Changing modules is a simple case of clipping off the loosely attached lid and exchanging them. Is the modular approach a good one? One the one hand, hot swappable modules with short, retractable cables is a lot more convenient for your desktop than having an additional USB charger (and hub) and trying to find the right cable. If you do happen to buy a new device with some magical new port that isn’t covered, then you still have the standard USB ports. It should be noted that HUB IT isn’t fully realised yet. 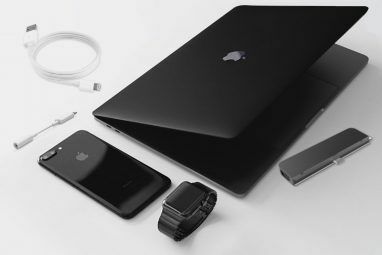 The manual refers to wireless charging module, Bluetooth modules, an SD card reader, and even a portable battery pack so you can carry the HUB around and charge without it being plugged in – but these are currently unavailable. The HUB IT is innovative – it’s fresh approach to an age old problem. It’s also full of potential, such as changeable cases and exciting new module ideas. Provided the hardware lives up to long term wear and tear, I can see enormous value in this approach: when a new connector is available, simply swap it out to make a perfect arrangement for your needs. While not all the promised modules sound particularly useful – a battery pack, for instance, would imply someone would want to carry this rather large unit around – and I just can’t see that happening. It’s difficult to judge the long term value of the product without consideration to the potential. It’s not all rosy. The build quality of the case feels a little cheap, being only loosely attached (are frequent module changes to be expected? ), and the standard black plastic case seems designed to make me want to replace it immediately – but functionally everything is there. It’s a hub, it’s a charging station, and it adapts to suit your exact charging needs. Ultimately, it’s a little too early to be judging the HUB IT. Once a few more modules are released, the value proposition should increase. However, I hope they allow for some customisation at the point of order – difficult if they’re distributing solely through Amazon, but at least a few variations would be desirable – instead of buying the base set then immediately having to purchase additional modules. An Apple-oriented variation, or an Android and wireless Qi set, for instance. MakeUseOf Recommends: It’s a solid combined charger and USB3 hub with potential to be great – but if you only need a charger, or only need a hub, you could do better looking elsewhere. How Do I Win The HUB IT? The winner will be selected at random and informed via email. View the list of winners here. Explore more about: MakeUseOf Giveaway, USB. How can the middle one be used with a module? As in how does a cable physically bypass the other modules? Looks cool and useful, would be great if own this. I want to hub it. This is a great concept to product. I like the modular approach and the retractable cables. Would be grateful for one myself. do like the look of it though. Has it got some weight to it also do it feel like it would not slide off a table or side board.? is the extendable pull strong as on some device i have tend to jam up or snap.? The look is an acquired taste. It's remarkably lightweight, but doesn't slide off the desk or table thanks to the rubber feet. The extendable cables seem strong, but of course it's difficult to do long term testing in this situation - I haven't had an issue yet.